Thomas has Spastic Diplegia Cerebral Palsy, and was born 12 weeks premature weighing a tiny 2lb 10oz. He could only sit up for a short time unaided and pulled himself across the floor as he couldn͛t stand or walk. We have been able to fund a vital SDR operation to enable him to have more movement in his legs. The operation was necessary to prevent him from becoming a full time wheelchair user. Ongoing physiotherapy is vital to help him to strengthen the muscles he has never used. Our community all came together and a local company Think arranged for their workforce to do a Skydive raising over £8,000. Tom is continuing to improve and already taking his first steps and now able to be more involved in activities with his siblings . We cannot wait to see even more positive improvements. Tom used to wake up 2-3 times per night with terrible muscles spasms that were so painful they made him sick. We are delighted to say that he has not had one of these episodes since his operation. Thomas has Spastic Diplegia Cerebral Palsy, and was born 12 weeks premature weighing a tiny 2lb 10oz. He could only sit up for a short time unaided and pulled himself across the floor as he couldn͛t stand or walk. 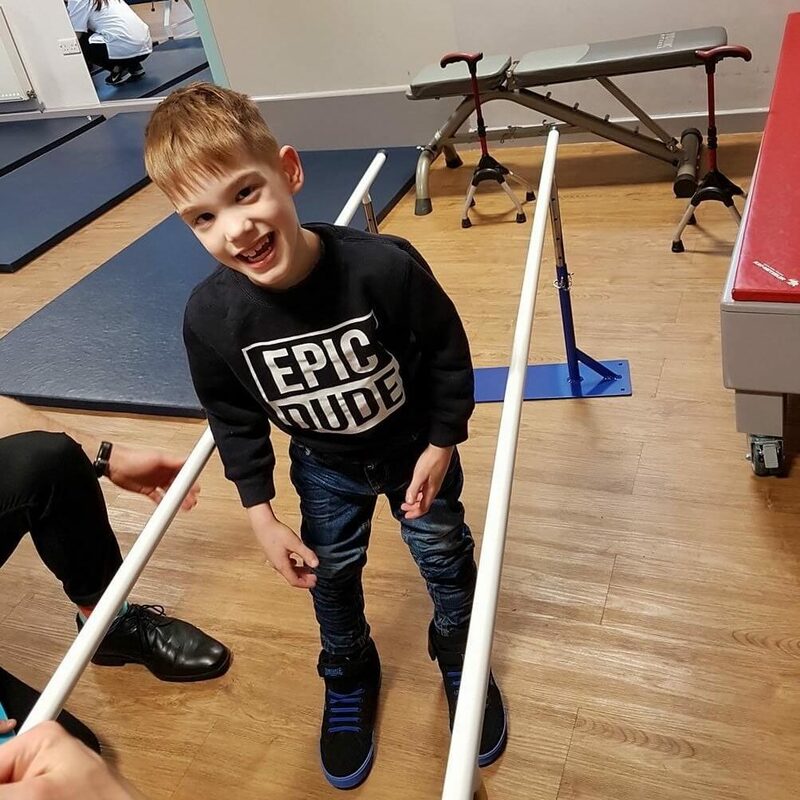 We have been able to fund a vital SDR operation to enable him to have more movement in his legs. The operation was necessary to prevent him from becoming a full time wheelchair user. Ongoing physiotherapy is vital to help him to strengthen the muscles he has never used. Our community all came together and a local company Think arranged for their workforce to do a Skydive raising over £8,000. Tom is continuing to improve and already taking his first steps and now able to be more involved in activities with his siblings . We cannot wait to see even more positive improvements. Tom used to wake up 2-3 times per night with terrible muscles spasms that were so painful they made him sick. We are delighted to say that he has not had one of these episodes since his operation.